Over 1 Million Messages !! 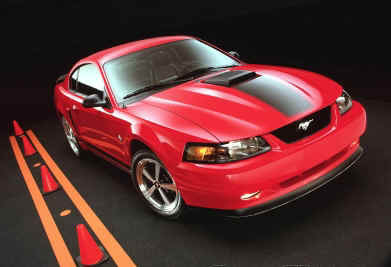 source: Ford.com Thirty-eight years after the original was introduced in New York, the Mach 1 is back. Debuting at the New York International Auto Show, the new 2003-model Mustang Mach 1 special edition, with signature "shaker" hood scoop continues its historical journey. "Of all our Living Legends, Mustang might have the richest heritage. While everyone has a favorite, Mach 1 is one of the most memorable and most collectable Mustangs,"
- Jim O'Connor, Ford Division president. The Ford Mustang was introduced 38 years ago and has earned its place as a true American legend. From its inception, Mustang took the automotive world by storm, spawning fan clubs of enthusiastic baby boomers that were just coming of driving age in the mid-1960s. It seemed everyone wanted a Mustang and Ford was all too happy to provide one. In the first year, Ford sold more than 600,000 Mustangs. 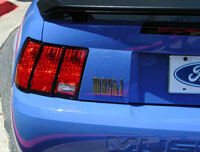 Derivatives came quickly as customers wanted to personalize their Mustang. There were numerous body styles, from coupe to fastback to convertible, and scores of powertrain and styling packages. The original Mach 1 was introduced in 1968 as a concept car with a hatched fastback, aggressive hood and side scoops and a unique paint scheme. 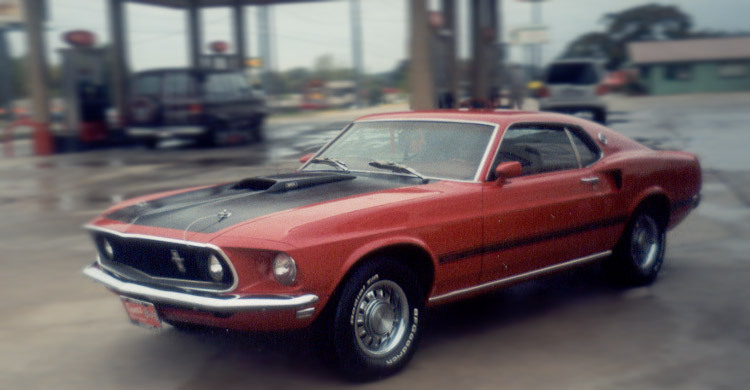 In 1969, the Mach 1 was one of three new Mustang models that made it into production. It featured the familiar fastback body with simulated side scoops high on the quarter panel, an aggressively raked air dam on the front and a spoiler on the rear, “comfort-weave” leather seats and the now famous, “shaker hood scoop” mounted directly onto the carburetor and fitting through an opening in the hood. Underneath, the 1969 Mach 1 offered a 250-horsepower 351 Windsor V-8 or a 335-hp 428 Cobra-Jet mill. 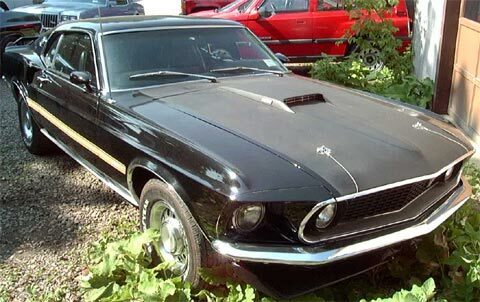 Mach 1 and its stablemate, the Boss 302 Mustang, reenergized the fastback, tripling sales of the body style in 1969. 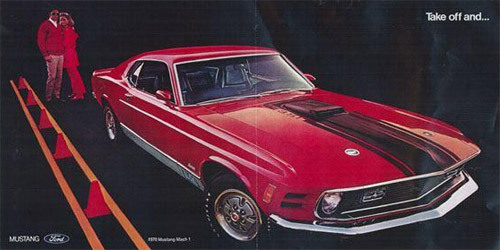 The much smaller Mustang II model, introduced in 1974 as a response to the nation’s “energy crisis,” was the weaker sibling to its older muscle car brothers. 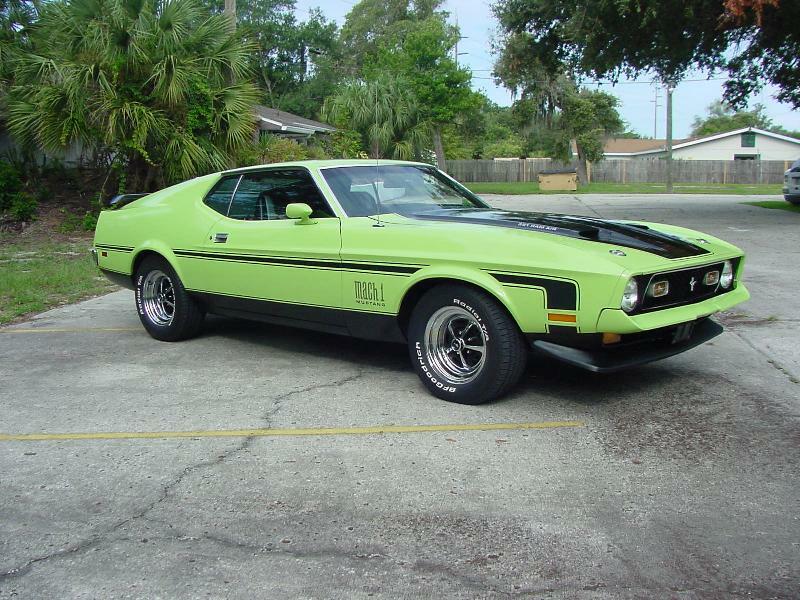 The 1974 Mach 1 featured a 2.8-liter V-6 with dual exhaust while the other Mustangs of the period carried 2.3-liter I-4s as the base engine. The Mid-America Car Show this weekend in Tulsa, Oklahoma. Four days filled with road course racing, drag racing and car shows made for a great weekend. The highlight of the event was a bright blue Mustang parked in the lobby of the Marriot. The buzz about Team Mustang and a live axle, 4-valve motorcar has been confirmed. It is Team Mustang’s latest concept, the MACH1. 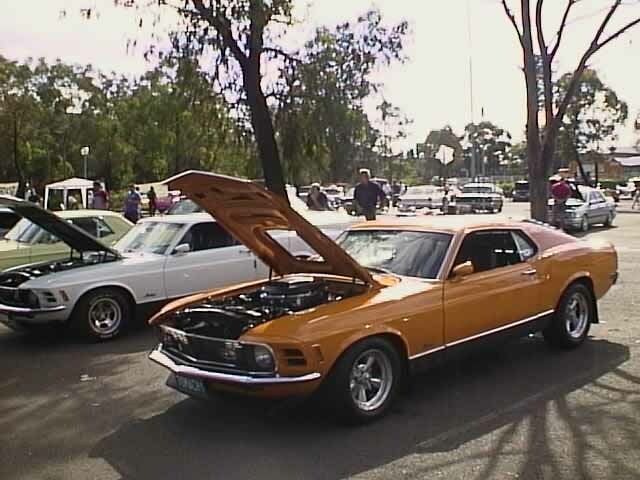 In its first public appearance, the MACH1 was scarcely left alone for a moment after its unveiling. 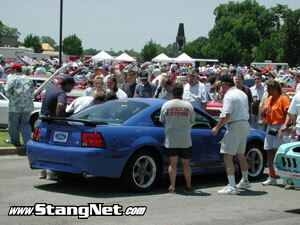 Mustang enthusiasts swarmed the Azure-colored creation in awe. In just a glimpse of this automobile, only true Mustang-lovers can appreciate what Team Mustang has brought to life. After successfully seeing through to the production of the Bullitt Mustang, the Mustang fans can rest assured that your “Team Mustang” is striving to capture the heritage that all of us can share in. This beauty will draw you in, not to mention that this thing is also one wild looking ride. The SN Staff are overly impressed with arrival of the MACH1 and the ideas that Team Mustang Division are dreaming up. They are true enthusiasts and only want exciting things to keep happening for the Mustang. The creation of the MACH1 is intended to strengthen and enhance the heritage of the Mustang and it will, with your help. The car was presented in the new blue color called Azure. 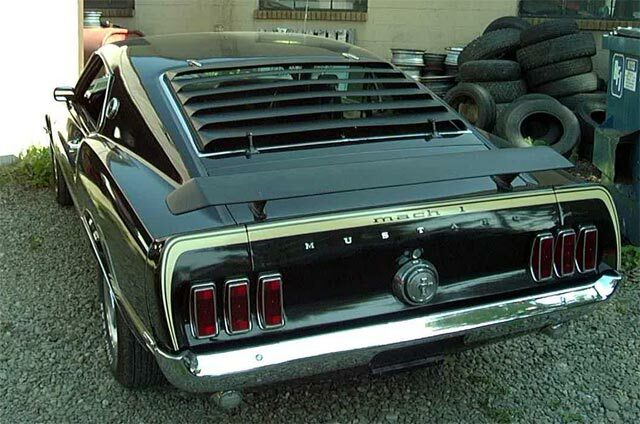 MACH1 wing in flat black on the rear deck. Rear MACH1 badging where the GT emblem is normally placed. Black striping on the side with MACH1 wording. Front flat black spoiler extension. Running pony on both front fenders. Shaker hood w/functional 'SHAKER' ram air. Waffle leather seats with metal top strip. Team Mustang believes in the enthusiasts so tell them what you think. Did they hold true to the MACH1 tradition? Did they make a car that you would want to own? What might you do different? Help Team Mustang by taking a survey. Do your part then tell your friends to sound off! The more noise we can make, the better chances we have of seeing the MACH1 hit the streets. I, for one, would love to see this car cruisin’ the streets and hitting the track! The NEW 2003 Mach 1 is expected to deliver more than 300+ horsepower from its modular (MOD) 4.6-liter, 4-valve, DOHC (Double OverHead Cam) V-8 engine when it goes on sale at the end of this year. The preeminent pony car remembers its roots with functional performance upgrades and Mach 1 styling cues, including "comfort-weave" leather seats, a shaker hood scoop and today's interpretation of classic "Magnum 500" chrome wheels. See spec sheet here. So what's the scoop on the scoop? The Mach 1 was designed in Ford's Living Legends Studio in Dearborn, Michigan, where all other Mustangs, plus the Thunderbird and the GT40, are designed. The Living Legends Studio was created in July of 2000 to bring together the creativity of designers involved in related iconic cars of the present and future. Living Legends is Ford's medium for engaging enthusiasts of the Ford brand in a historical and memorable experience. The Mach 1 features exterior enhancements that visually and emotionally connect it to the 1969 Mach 1 fastback. 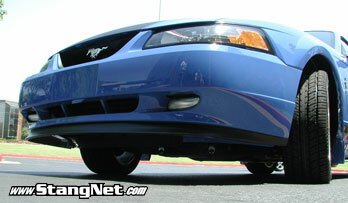 In keeping with performance Mustang heritage, the scoop is not only appearance enhancing, but functional. The "ram air" scoop, fitted through an opening in the hood, channels fresh air directly to the intake runners increasing the breathing and optimizing intake turbulence for improved power and torque. 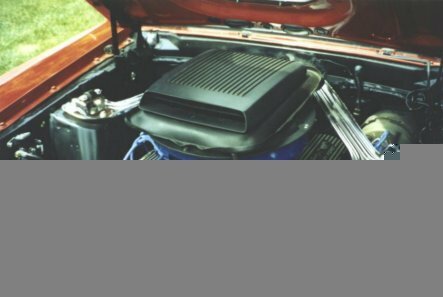 The scoop operates on similar principals to that of its forebear, but because the 1969 Mach 1 was a carbureted engine, it was a much simpler task to mount the scoop atop the carburetor in place of a traditional air cleaner. 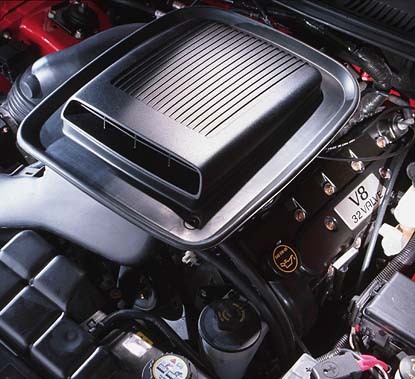 The "shaker scoop" on the 2003 Mach 1 is mounted atop the intake manifold and directs air through a secondary filter box to the intake. The intake also pulls cool air from the front grille to ensure free breathing. "At first, our colleagues from other teams thought we were crazy," says Hoag. "After all, modern engines are so well tuned and balanced, there really is no 'shake,' so people asked why we would bother with a 'shaker' hood. But Team Mustang is full of enthusiasts who know what it's like to pull a Mach 1 up next to a Chevelle SS with cowl induction and show off." 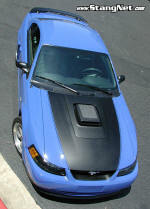 No doubt the buzz on the Internet is the #1 contributing factor to the success of this special limited-edition Mustang. Shown as an "experiment" at shows last year, it is the enthusiast that told Team Mustang to build this car. "People dropped their jaws when they saw the Mach 1 for the first time, especially when we blipped the throttle to demonstrate the shaker," says Scott Hoag, Mach 1 program manager. "These grassroots events started chats all over the Internet of fans telling us to build this car." 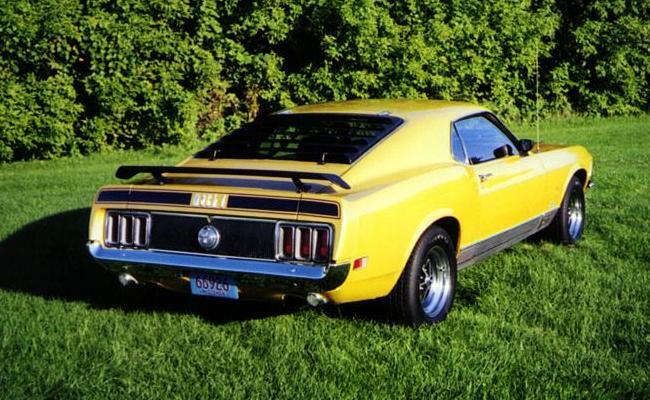 This Mach 1 is back because of you! 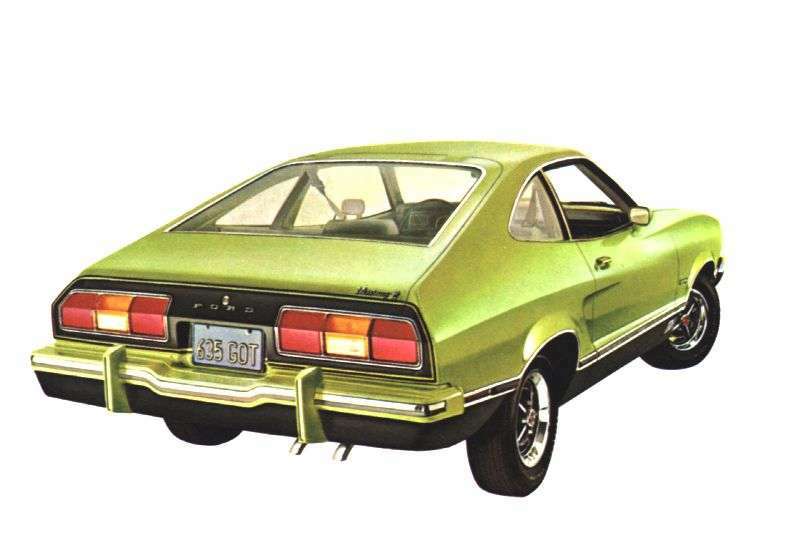 * Just as with the 2001 Bullitt GT, the new Mach 1 will come with a unique serialization found in the vehicle identification number (VIN) to ensure exclusivity and collectibility. This will be different from last years Bullitt Mustang. The Bullitt carried a unique 'number' tag in the engine compartment, the MACH1 will not. In the VIN number there will be an engine code designation of 'R'. This will be exclusive to the MACH1 and will denote the different engine and thus its uniqueness. Ford plans to produce 6,500 of this limited-edition legend. Mach 1 pricing and detailed technical specifications will be announced just prior to public introduction. 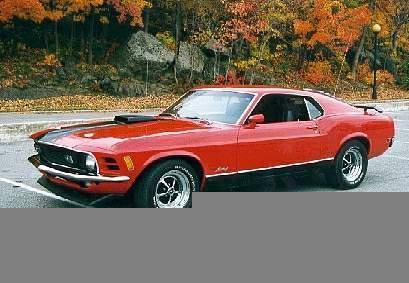 Mach 1's - 72,458 of 299,824 Mustangs produced that year. Approx. 24% were Mach 1's. Mach 1 Codes are 2 digit with a 5 that indicates flat black on the hood. The late 1960s was one of the most turbulent periods in modern American history. A world away, the Vietnam War was sending shockwaves to our shores, causing abundant social unrest and change. Who can forget 1968? Two civil rights pioneers, Dr. Martin Luther King and Senator Robert F. Kennedy, were gunned down in cold blood within a few months of one another on the road to human equality. Vietnam and the civil rights movement are the two events people remember most about the late 1960s. Car enthusiasts, however, remember the period for different reasons. We remember The War--the war staged at traffic lights and dragstrips from coast to coast. Call it a civil war of sorts. Chevy versus Ford versus Chrysler across the land. In the Chevy camp--Camaro, Chevelle, and Corvette. At Chrysler--Plymouth ’Cuda, Roadrunner, GTX--and Dodge Dart, Challenger, and Charger. Chevrolet hit hard with its 396ci fat-block Camaro, causing Ford’s pony to skip a beat in an otherwise perfect stride. Plymouth/Dodge thrust strong counterpunches too, stuffing 383ci and 440ci High Performance mills in its compact and intermediate musclecars. Ford answered the Bow Tie and Pentastar spankings of 1967 and early 1968 with a one-two punch of its own--the 428 Cobra Jet of mid-1968. The Blue Oval badly punished its competition at the ’68 Winternationals in Pomona, California, shocking nearly everyone who turned out expecting less from those mysterious white Mustang fastbacks. Strong performance on the dragstrip helped the Mustang’s sagging image. But declining Mustang sales figures weren’t rooted just in performance figures and wounded egos. The Mustang was losing its sizzle in the marketplace with people who had never been to a dragstrip. There were competing nameplates out there with Mustang-like qualities. They were called pony cars. Chevy loyalists who purchased Mustangs in 1965-’66 were turning up in Chevrolet showrooms to trade their Mustangs in for Camaros. The same could be said for Plymouth and Dodge. American Motors also took a bite out of the market with its all-new Javelin and AMX ponies that year. The Mustang no longer owned the sporty compact market. It was now forced to share. 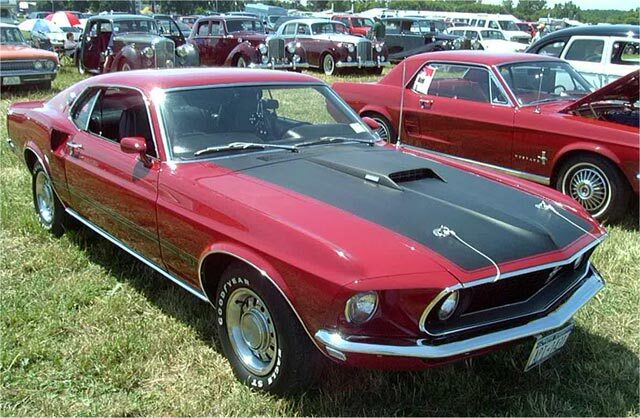 During 1967-’68, Ford introduced a short-lived concept Mustang called the Mach 1. It was a slippery ’67 fastback-based styling exercise shown around the country at new car shows, in car magazines, and at National Council of Mustang Club round-ups. The Mach 1 was a huge success--so much so that Ford would assign the name to the all-new Mustang SportsRoof body for 1969. 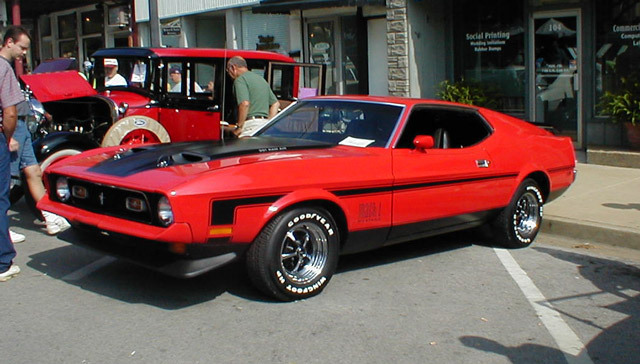 The ’69 Mach 1 also debuted with raging success. The Mustang fastback had evolved into a super slippery flatback body. Some say that there has never been a better looking Mustang fastback in the marque’s history. Ford splashed striking graphics on the Mach 1--color-keyed side stripes, matte-black hood striping, hood pins, sidescoops, chin and deck lid spoilers, sports slats to keep the sun out and the cool in, and twin-set headlamps. it was an ultra sharky facade few car buyers could resist. 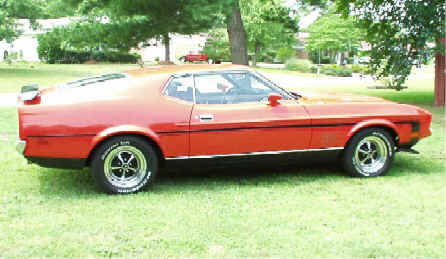 The Mach 1 came standard with a 351W-2V V-8. For those wanting optimum performance, the car was also available with a 428 Super Cobra Jet sporting Ram Air and a Drag Pack. Choices were many. Most ’69 Mach 1s rolled off assembly lines in San Jose, Dearborn, and Metuchen with 351W two-barrel and four-barrel V-8s backed by FMX cast-iron automatic transmissions. 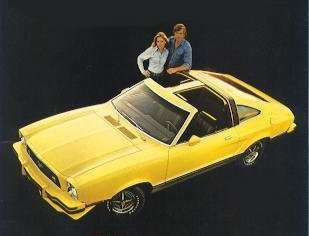 The 351W Mach was a snappy Mustang SportsRoof for the average guy who wanted terrific looks with a sprinkling of muscle. The beauty of the Mach 1 was that it could be ordered hundreds of different ways. The choices included 16 exterior colors, three interior colors in knitted vinyl, five transmissions, 10 axle types, six engines, and dozens of options--including cruise control. There hasn’t been a Mustang this generously optioned since. At base sticker price, the Mach 1’s 351W-2V V-8 yielded 250 horsepower backed by a fully synchronized three-speed Top Loader transmission and a 3.00:1 conventional 9-inch axle. Inside, the base Mach 1 was generously equipped with a standard Knitted Vinyl Sports Interior, high-back bucket seats, a console, pod-style instrumentation, an AM radio, and molded door panels. On the ground were styled steel wheels clad in chrome with spun center caps. Color-keyed styled steel wheels also were available, but they are a rare find today. These wheels were wrapped in Firestone Wide-Oval belted F70x14 tires. With the rolling stock came the Competition Suspension with stiffer spring rates, shocks with revised valving, a heavy-duty front sway bar, and 16:1 steering. 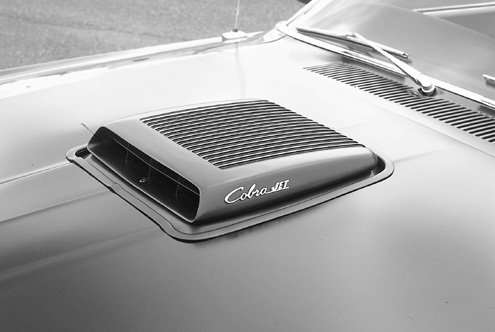 New for ’69 was the optional shaker hoodscoop actually mounted atop the air cleaner housing. Inside the shaker was a vacuum-actuated air door designed to open to the slip stream at wide-open throttle. No one has ever been able to prove if the shaker gives a Cobra Jet any more power, however. But it carries plenty of emotional firepower just the same. The ’69 Mach 1 deeply pocketed twin-set headlamps and mouthy grille spoke "Mustang" in every respect when it was introduced in the fall of 1968. It also proved to the masses that the Mustang had matured to become a world-class touring car. It was a cut above the original ’65 Mustang in terms of comfort, handling, and performance. The Mach could hold its own against the competition in any theater. Racing veteran Mickey Thompson flogged a couple of specially prepared Mach 1s at the Bonneville Salt Flats in some of the heaviest endurance testing ever performed on a production automobile. The Mustang had swiftly become a cultural icon. While most of us like the small-block Mach 1, even more are thrilled with the power of a big-block. The most common Mach 1 big-block was the 428 Cobra Jet sporting 335 horsepower. 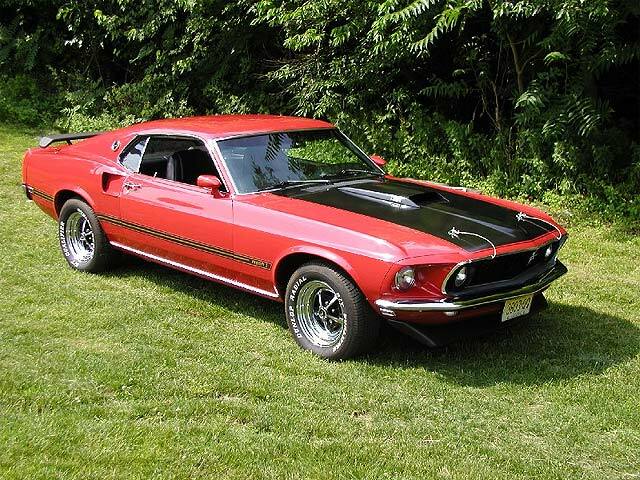 However, did you know the rarest ’69 Mach 1 isn’t Cobra Jet-equipped? Surprisingly, it’s the docile 390 High Performance V-8, yielding 320 ponies. The 390 Hi-Po Mach 1 is rare because the cost to get into a Cobra Jet wasn’t that much more. Controlling that power were optional front disc brakes. Believe it or not, the Mach 1 came standard with manual four-wheel drum brakes, including Cobra Jet models. The Competition Suspension was standard equipment. For a few bucks more, Cobra Jet buyers could find themselves in the middle of the Drag Pack option. With Drag Pack, your Mach 1 was fitted with either 3.91:1 or 4.30:1 Traction Lok, staggered rear shocks (four-speed only), an engine oil cooler, and the beefier 428 Super Cobra Jet engine. The Super Cobra Jet didn’t make any more power than the standard Cobra Jet, it was simply better prepared for weekend racing with heavier Le Mans cap-screw connecting rods and a better crankshaft. The Mach 1 for 1970 was clearly different, with its headlamps moved inside the Ferrari-style grille mouth. Gone were the quarter-panel sidescoops. 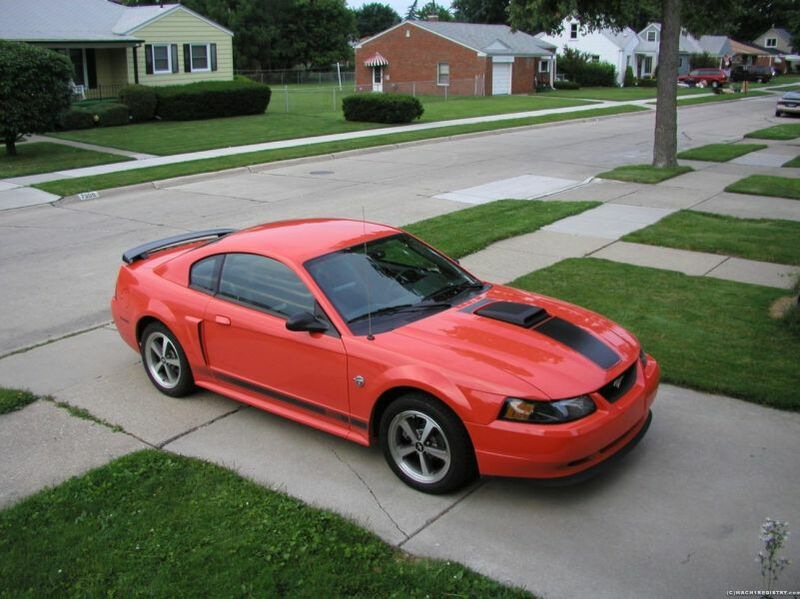 A honeycomb tailpanel gave the Mach 1 new depth. 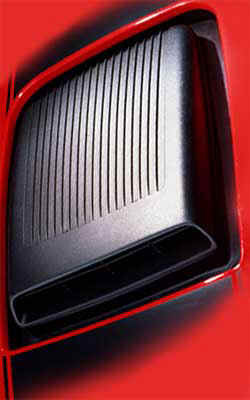 Flanking the tailpanel were deeply pocketed three-element taillights. Ford’s bean counters went to work on the ’70 Mach 1, deleting standard styled steel wheels and replacing them with sport wheel covers instead. Wide Oval Firestones put the rubber to the road. Groovy Mach 1 graphics for 1970 included finned argent panels that ran from fender to quarter, protecting the paint and dressing up the body. Inside, the ’70 Mach 1 was virtually the same as the ’69, the exception being a locking steering column mandated by federal law. 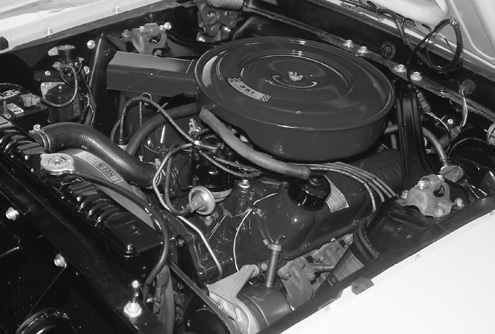 Nineteen seventy was a year of firsts, including the new 351 Cleveland engine (335 series engine family), which was a heavyweight small-block designed to act like a big-block. What made the 351C different than the 351W were its throaty heads sporting huge ports and a big-block Chevy-style canted-valve arrangement. Huge ports made for improved breathing and abundant torque. The performance masses loved the 351C. The aftermarket embraced it. Ford’s new 351C left the 351W behind because it made so much power with just a few performance tweaks. The 428 Cobra Jet and Super Cobra Jet continued unchanged for 1970, with the same driveline options and axle ratios. 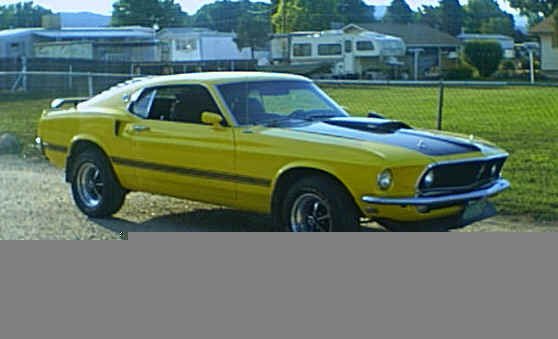 The most significant change to the Mach 1 happened in 1971, when Ford added pounds and inches to the body. 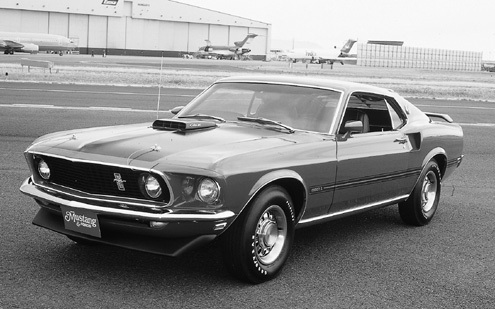 The all-new ’71 Mustang SportsRoof body was the sleekest ever despite its increased size. The platform was based more on the Fairlane/Torino/Cyclone than it was on the Mustang of 1967-’70. Wheelbase grew by 1 inch to 109. Overall length grew several inches, and there was significant weight gain. The ’71 Mustang Mach 1 received its direction from the man Henry Ford II hired away from General Motors in 1968--Semon E. "Bunkie" Knudson. Along with Knudson came a man we remember fondly--Larry Shinoda. The Knudson/Shinoda duo brought good things to the Ford table--the Boss 302 and 429 Mustangs of 1969-’70, and a host of other performance and styling changes that made the Mustang sizzle again. 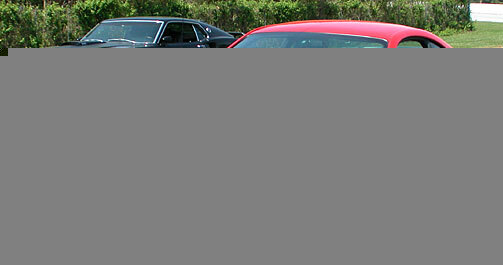 Knudson was in large part responsible for approving the ’71 Mustang’s final design. Increased Mach 1 size was a result of the trend toward larger engines and faster cars. The trend didn’t last long, however. Insurance companies were unhappy and quite vocal about vehicle safety. Politicians embraced safety issues with a vengeance. Oil shortages loomed on the horizon. Ford Motor Company would soon pull out of motorsports. "Performance" was swiftly becoming a dirty word. Performance for 1971 in the Mach 1 became a standard 302-2V V-8 backed by a three-speed stick. 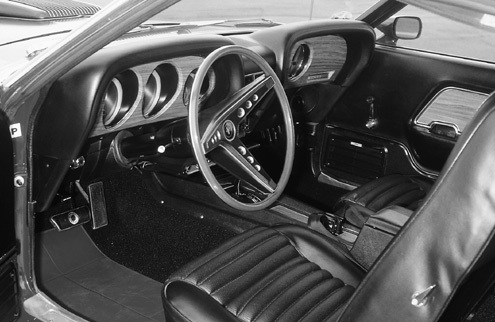 The standard Knitted Vinyl Sports Interior of 1970 gave way to the Mustang’s standard interior in 1971. If you wanted the Sports Interior, you had to pay more to get it. The standard Mach 1 package for 1971 was little more than a paint-and-tape package designed to visually excite, but it didn’t have much substance. The most common Mach 1 powerplant for 1971 was the 351C-4V engine yielding 285 horsepower. With the 351C-4V engine, the Mach 1 was a throaty high-performance Mustang, a well-balanced machine that has earned the respect of enthusiasts. As in 1970, the ’71 Mach 1 was available with a wealth of options--full instrumentation, a console, a Competition Suspension, a rear deck spoiler, power front disc brakes, SelectAire air conditioning, a Rim-Blow steering wheel, Magnum 500 wheels, intermittent wipers, tinted glass, and more. Axle options ranged from 2.75:1 to 4.11:1. The Drag Pack was still available in 1971, but only with the 429 Cobra Jet engine. The Drag Pack option netted buyers the 429 Super Cobra Jet with Holley carburetion and a choice of two axle ratios, 3.91:1 or 4.11:1 with Traction Lok. Another little-known fact about the Drag Pack option for 1971 was the use of an 80-amp Autolite alternator. Few ’71 Mach 1s were ordered with the 429 Cobra Jet, and still fewer with the Drag Pack-inspired Super Cobra Jet. The 429 Cobra Jet (385 series big-block engine family) was a canted valve head design very similar in appearance to the 351C small-block. 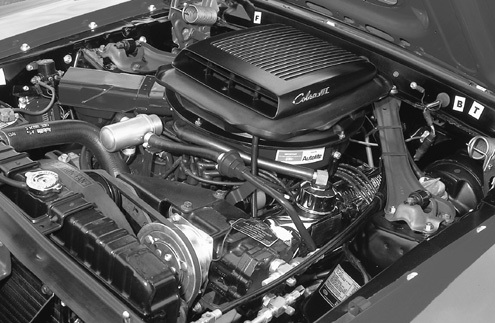 Like the 351C, the 429 had huge ports designed for deep breathing and abundant torque. The standard 429 Cobra Jet Mach 1 had a Rochester Quadra Jet 4V carburetor with large secondaries. Ford topped the optional 429 Super Cobra Jet with a 780 cfm Holley four-holer. Transmission choices for the 429 CJ and SCJ included a standard big-shaft Ford Top Loader four-speed or a C6 SelectShift automatic. 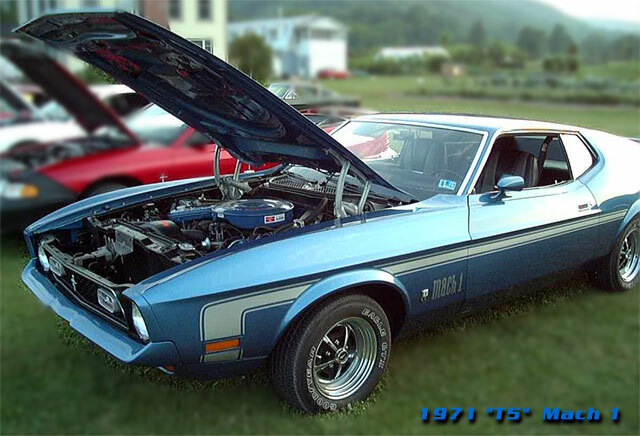 The Mach 1 entered 1972 virtually unchanged except for options and some minor trim changes. 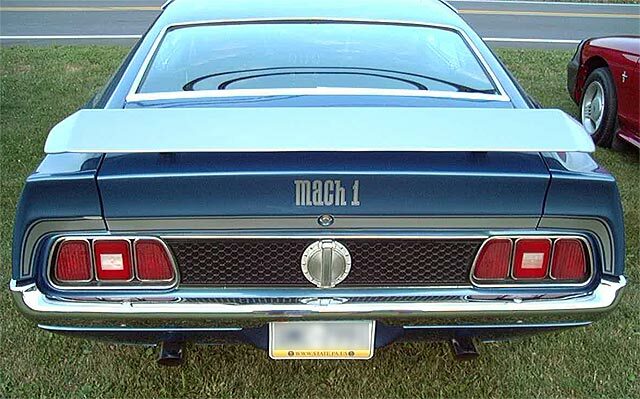 For 1972, the "MUSTANG" block letters on the deck lid were replaced with "Mustang" in script, which is the only way you can tell a ’72 Mach 1 from a ’71 without looking at the serial number. Engine options decreased sharply for ’72, limited to a base 302-2V, a 351C-2V, a 351C-4V Cobra Jet, and a low-compression Boss 351 called the 351C High Output. Gone was the 429 Cobra Jet big-block. The 351C High Output engine in a ’72 Mach 1 is rare indeed, sporting that elusive "R" engine code enthusiasts are always seeking. This engine was nothing more than a Boss 351 solid-lifter engine with a lower compression ratio, netting 275 horsepower at the drive wheels. 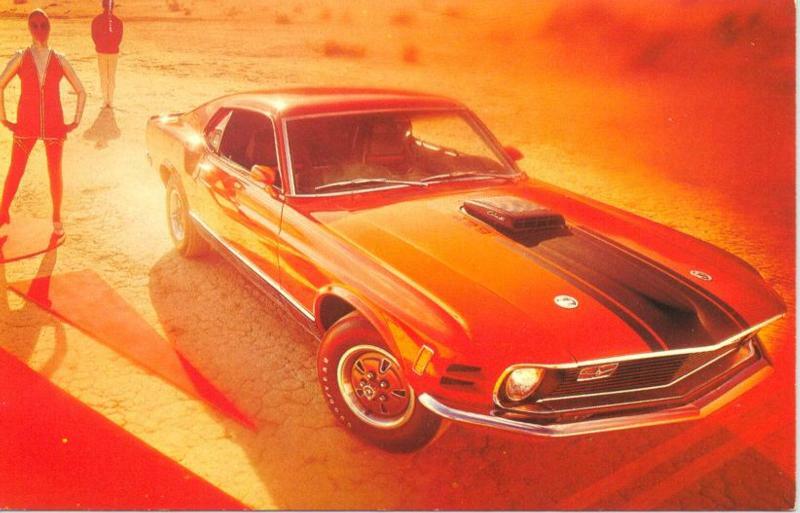 Nineteen seventy-two would be the last year for a brute high-performance V-8 in the Mach 1. 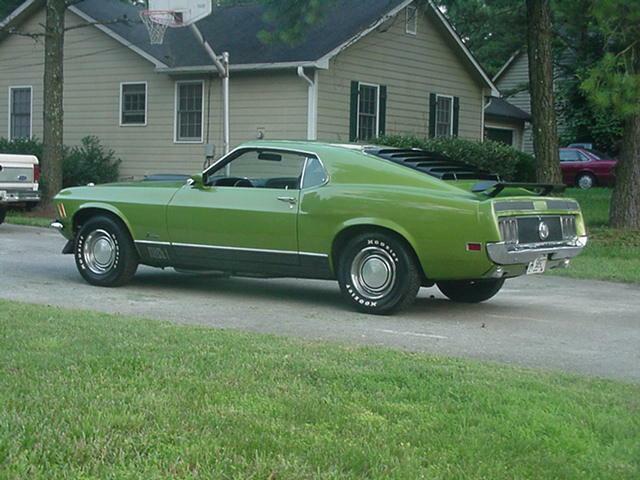 The writing was on the wall for high-performance Mustangs by 1973. Ford brought the Mach 1 back for ’73 with nice styling upgrades, an array of new colors, and the retention of three V-8 engines: the 302-2V, the 351C-2V, and the 351C-4V Cobra Jet. What you may find ironic is the availability of Ram Air with the 351C-2V but not the 351C-4V Cobra Jet. This was rooted in the emissions-certification issues Ford had with the federal government. Seems Mustang enthusiasts would have given up on the Mach 1 when the ’74 Mustang II was introduced with a 2.8L Vulcan V-6, but they didn’t. 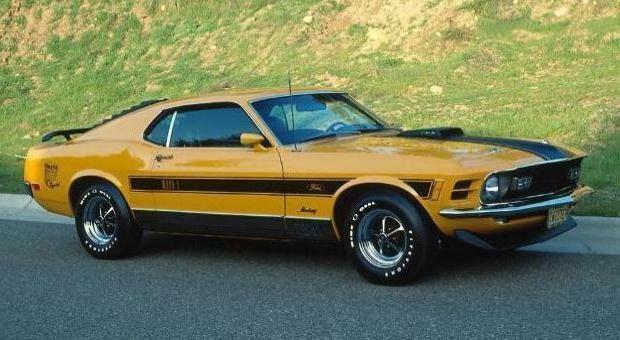 Mach 1 production for 1974 was up 8,609 units over 1973, and a whopping 16,371 over 1972. 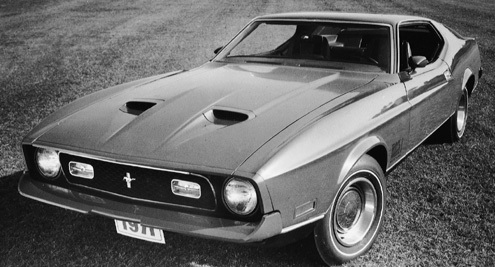 Ford completely redesigned the Mustang for 1974. The 1974 Mustang II Mach 1 hatchback was a sporty compact that was light on its feet, nimble, and ready to take on a canyon road. 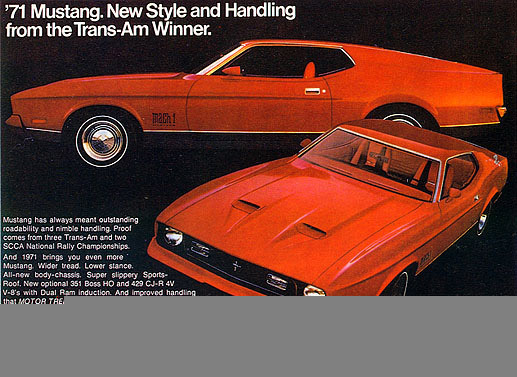 Long labeled a rebodied Pinto, the redesigned Mustang II was anything but. 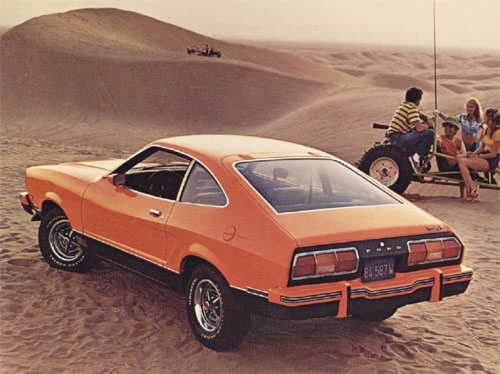 Sure, the Mustang II was based loosely on the Pinto, much as the ’65 Mustang was based on the Falcon, but the Mustang II had impressive engineering refinements that made it world-class. It was simply a better Mustang. The fact that the Mustang shared a lot of tooling and engineering with the Pinto presented Ford with all sorts of challenges. Buyers expected a buzzy four-cylinder Pinto that drove like a subcompact. This demeanor, however, was not acceptable in a Mustang. So Ford engineers went to work developing an isolated subframe (affectionately called the "toilet seat") that would move buzzy engine harmonics away from the passenger cabin. The toilet seat did more than isolate engine noise, it isolated the road as well, making the Mach 1 one of the quietest Mustangs ever. Ford engineers did more. They stayed away from the 2.0L OHC Pinto four and designed a new 2.3L OHC "Metric" four from scratch. They enlarged the bellhousing bolt pattern, opted for a larger driveshaft, and incorporated heavier rubber bushings to reduce noise, vibration, and harshness. 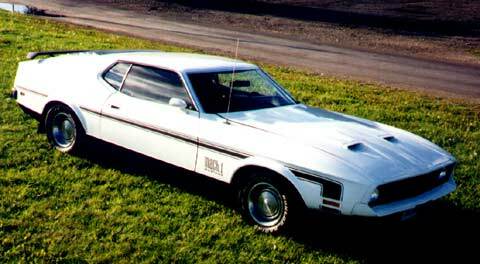 The Mach 1 for 1974 was the result of an extensive marketing study gauging what people wanted to see. 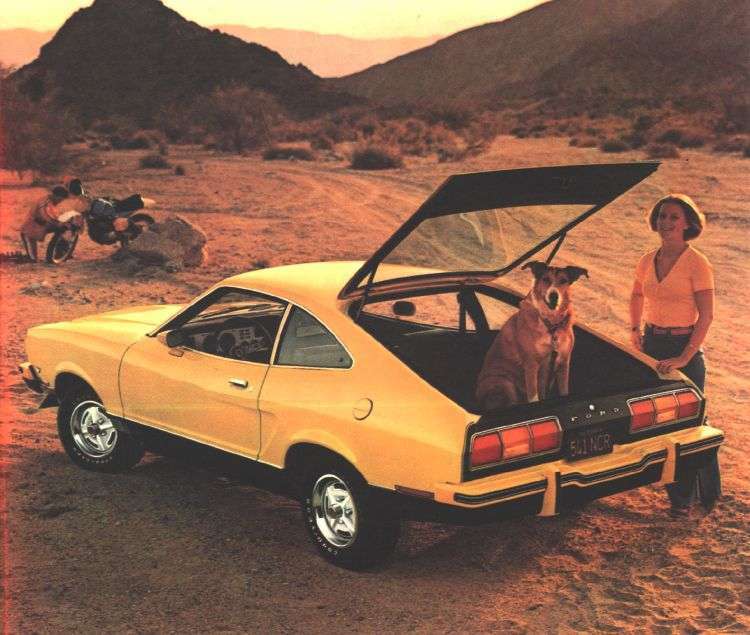 Ford called this study the "Arizona project" and quickly learned that buyers still wanted a sporty compact with bucket seats and a floor shift. 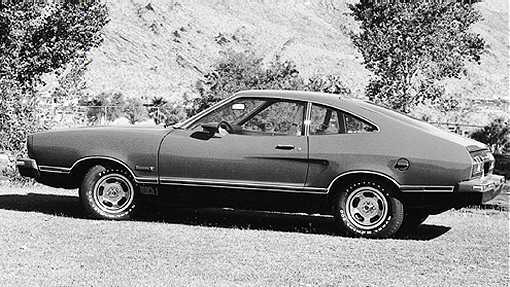 The sporty new Mercury Capri was selling so well that it prompted Ford to take another look at the Mustang. What the Capri lacked was legroom and typically "American" creature comforts. Ford’s Ghia studios in Turin, Italy, successfully created a drivable prototype in two months that bore a striking resemblance to what would ultimately become the ’74 Mustang II Mach 1. During Mustang II development, engineers and product planners found themselves time and time again centered around old technology--larger displacement V-8s and bulky in-line sixes. Ford ultimately looked to a new design, the 2.3L OHC inline four, as a standard powerplant. Optional power would be the 2.8LOHV Vulcan V-6, a German design already enjoying success with the Mercury Capri. 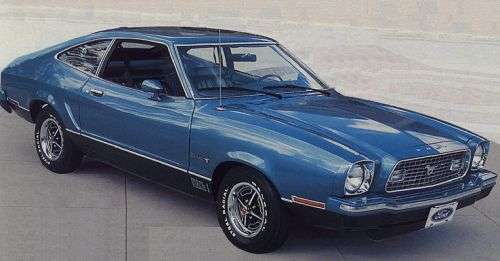 Believe it or not, the three-door hatchback was nearly stillborn, which might have meant the end of the Mach 1. At the 11th hour, permission was granted to press ahead with a hatchback model to replace the SportsRoof. 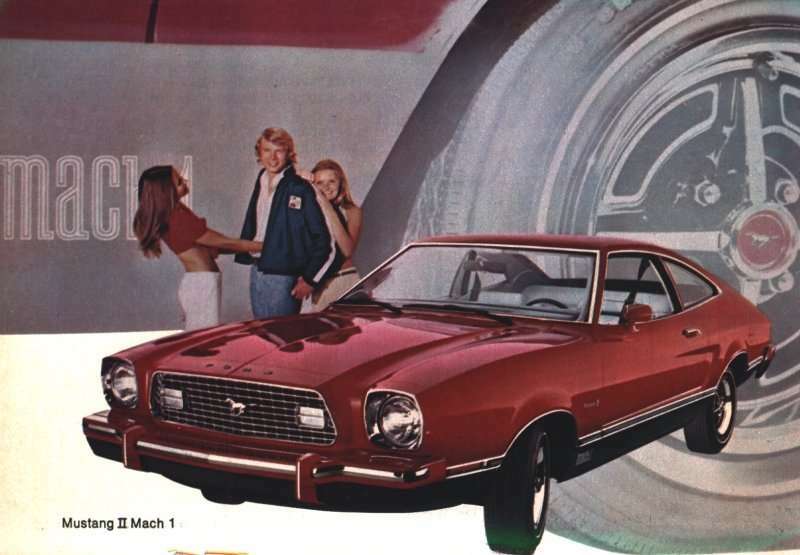 The all-new Mach 1 had the Mustang’s legendary grille, sidescoops, short deck, and long nose. Inside, the Mach 1 was elegant, with plush upholstery, thick-pile carpet, a console with a handbrake, full instrumentation (including a tachometer--standard! ), a digital clock, and improved passenger restraints. 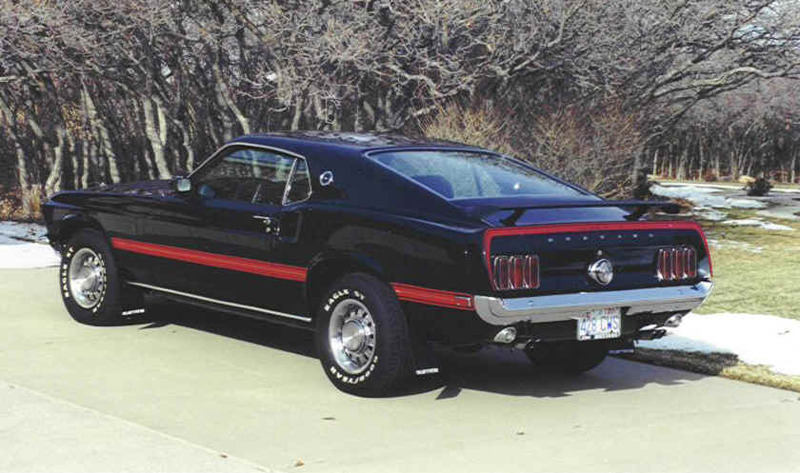 Behind the wheel, the ’74 Mach 1 was a pleasure to drive, especially when fitted with a four-speed stick. The optional 2.8L V-6 was snappy and performed quite well. The sound of its mechanical lifters brought back memories of the 289 High Performance, Boss 302, and Boss 351. Diving into the apex with a ’74 Mach 1 was performed with ease. Coming out of a turn at full throttle with the little V-6 offered adequate torque and a short blast down the straight. Excellent handling came from the incorporation of rack-and-pinion steering and advanced suspension tuning. What made the redesigned Mustang appealing was that it reminded buyers of the original ’65 Mustang. Matte black Mach 1 graphics took them back to the ’70 Mach 1 with its robust attitude. Despite the engineering refinements and nostalgic styling, buyers complained about the absence of a V-8--even during the OPEC-induced oil shortages. The following year, Ford brought the 302ci V-8 back to the Mustang corral. To fit the 302 underhood meant modifying the subframe and radiator support. Dearborn engineers worked hard to achieve a balance of performance, economy, and emissions. The Mach 1 cruised through 1978 virtually unchanged. Like the GT it overshadowed years earlier, the Mach 1 suddenly found itself overshadowed by the flashy new Cobra II, introduced in 1976, and the short-lived King Cobra for 1978. As the ’78 model year drew to a close, so did the Mach 1. 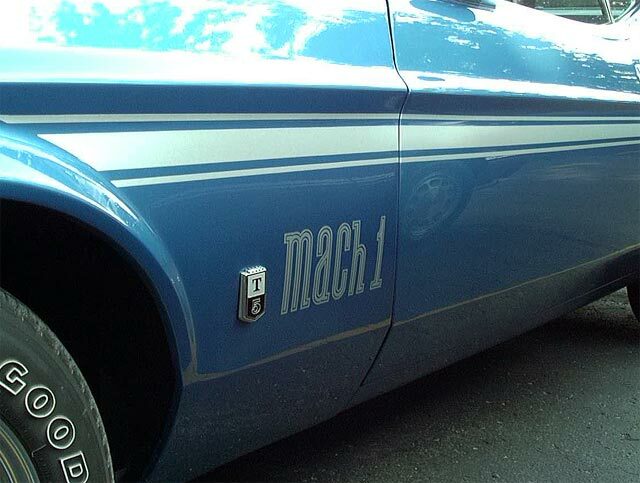 Mach 1 was a name that certainly fit the era when it was conceived in 1967. It is highly unlikely we will ever see the name again from Ford. However, the aftershocks of its effect on Main Street will be felt for generations to come. 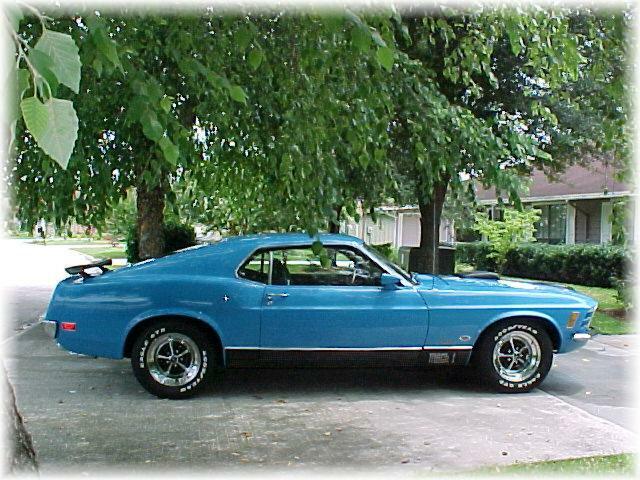 When the ’69 Mach 1 debuted in the fall of 1968, it was immediately popular and sold very well. The all-new Mach sported twin-set headlamps, a mouthy grille, and slippery lines that made it a world beater. The ultimate option for performance buffs was the 428 Cobra Jet big-block yielding 335 horsepower. Ram Air was also a desirable option. 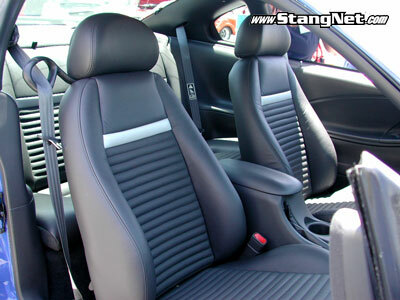 Inside, the standard Mach 1 was equipped with a Knitted Vinyl Sports Interior, which included high-back bucket seats, a console, molded door panels, and twin-pod instrumentation. A tachometer was optional. 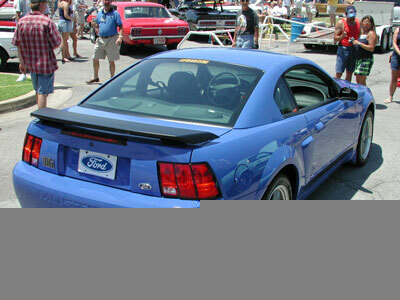 The Mach 1’s optional Drag Pack was available only with the 428 Cobra Jet. It included 3.91:1 or 4.30:1 Traction-Lok gears, a remote engine oil cooler, and staggered rear shocks in thefour-speed version. For 1970, Ford stylists moved the Mach 1’s headlamps inside the grille mouth. Bean counters eliminated the sidescoops and styled steel wheels. Instead, sport wheel covers were standard with Firestone Wide Ovals. Ford added nice touches for ’70, like the honeycomb tailpanel and recessed, three-element taillamps. 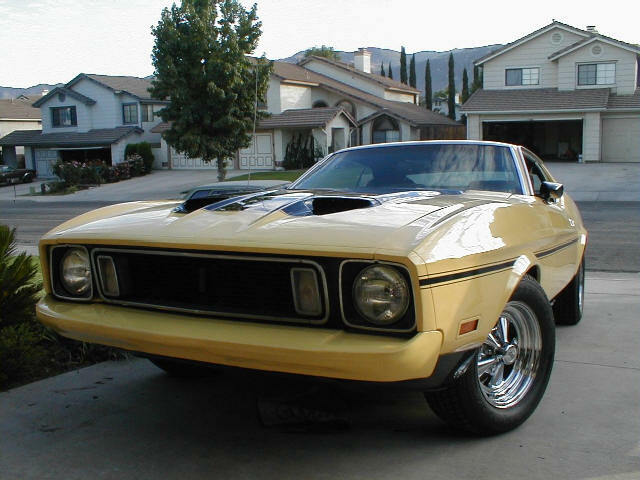 A popular Mach 1 feature was the shaker hoodscoop available for 1969–’70. Beneath this shaker sits a 428 Cobra Jet. The ’71 Mach 1 came standard with simulated NACA hoodscoops, sporty graphics, blackout treatment, and corporate caps with trim rings. Magnum 500 wheels and Firestone Wide Ovals were optional. Looking for More '71-73 Mach 1 Info? 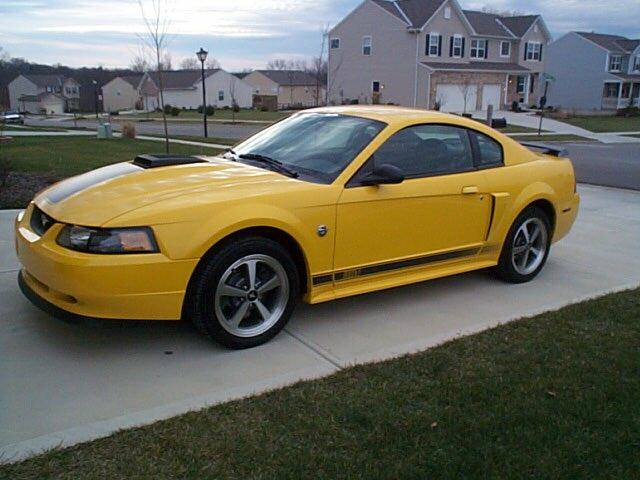 If you want your Mach 1 Listed, send us your photos! Authorized Affiliate Club with Ford Performance Group. 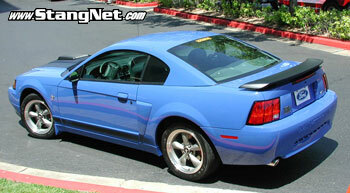 This is a website by enthusiasts for enthusiasts of the 2003-04 Mustang Mach 1.